The Nike Air Crew elevates an iconic classic. 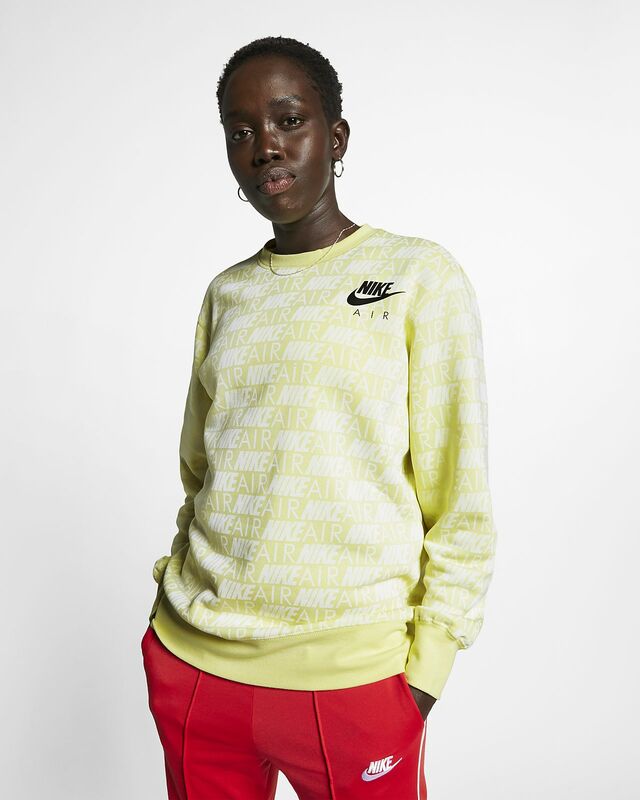 An allover Nike Air print adds contrasting style, while the soft fleece fabric is perfect for any season. French terry fleece fabric feels soft. 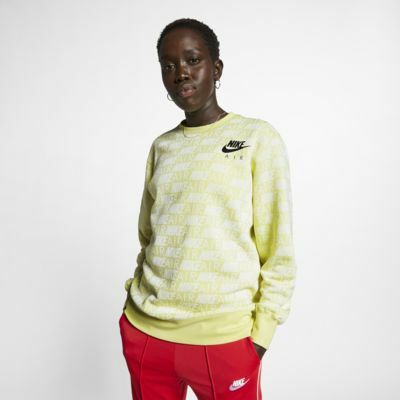 Nike Air logo pops with contrasting color. A ribbed collar, cuffs and hem help retain your body heat.